Update their new season wardrobe with this sleeveless frock with bloomer by Dew Drops. 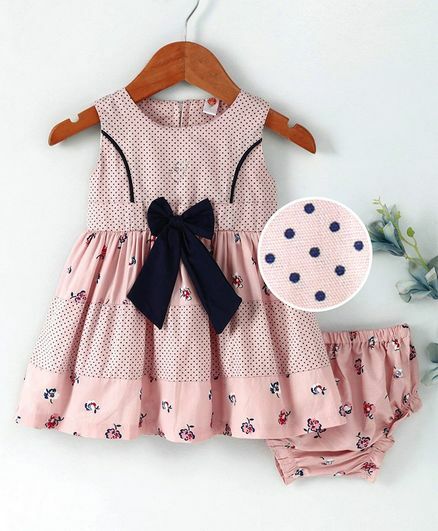 Beautifully fashioned from a soft fabric, this easy-fitting design offers floral and polka dots print frock with big bow applique. Round neckline and back zip closure ensures easy dressing.